I already paid for college this year. Now, I'm hearing more about online study. Should I complete my degree with an online college? This question should be asked by all students. The choice impacts the entire college experience and outcome. Spending four years and tens-of-thousands of dollars for college is a huge financial decision. This affects your life and probably your parents as well. How do approach this decision? The average cost of tuition and fees exceeds $8,600 for state residents at public colleges, and $21,000 for out-of-state students. The average debt after graduation is estimated to be $37K per student. Use your calculator to figure how much money you will owe each month. What are the alternatives? Distance learning or online colleges are increasing in popularity and have now become a mainstream way to earn your degree. In 2016, an estimated 5.8- million students enrolled to study online. Many traditional campuses now include online learning in their courses. It also allows you to transfer credits between online colleges. There's no longer a bias that online courses are not accredited. Why not complete your entire course load online? 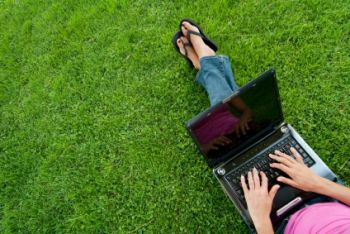 Online colleges offer a number of advantages over traditional institutions. The most obvious is a significant reduction in the cost of living and learning on campus. You avoid accommodation, travel, materials, and living expenses for college. It's critical to mention that federal and state student loans are given for online colleges. The application process is the same as for traditional college. Distance learning programs also provide more flexibility. There's no set schedule or location to control your day. This allows you to work or intern while studying. This is the main reason students choose to leave school and study online. Don't overlook online education for pursuit of goals, other than work. Artistic students can study online, while still training at a performing arts center. Your choice requires discipline and motivation. It's not an easy path, because you must manage your time effectively. Graduation rates at online schools are reported to be around 35% within 6 years of study. Courses and materials are also flexible, since it's all online. No lugging books around. The number of degrees available is increasing all of the time. The top choices for Bachelor’s Degree programs, in order, are business management, nursing and computer science. Increasingly, we're interviewing applicants with online degrees, reports Stackify, a developer of Java Profilers. There are also online Graduate Degree programs. A popular example, South Dakota State online degrees for Graduate programs outnumber the choices for Bachelor's Degrees. Again, business management is the top choice across all graduate schools. After graduation, getting work can be easier. Most students already have part-time work, while competing online courses. You gain experience, plus some income, at the same time. According to the Sloan Consortium, 74% of academic leaders rate online degrees as equal or superior to traditionally earned ones. Online degrees no longer suffer a bad reputation. Do online schools have a prom? (Nadeem Ghori is President of Webplex, a digital analytics agency).